Catalog 58 has heavier edge wear and rubbing to surfaces; a bit of creasing and wear to thumb tabs; no marks to pages; copyright 1958; 188 pages; 9.25 x 11.25 inches. Catalog No. 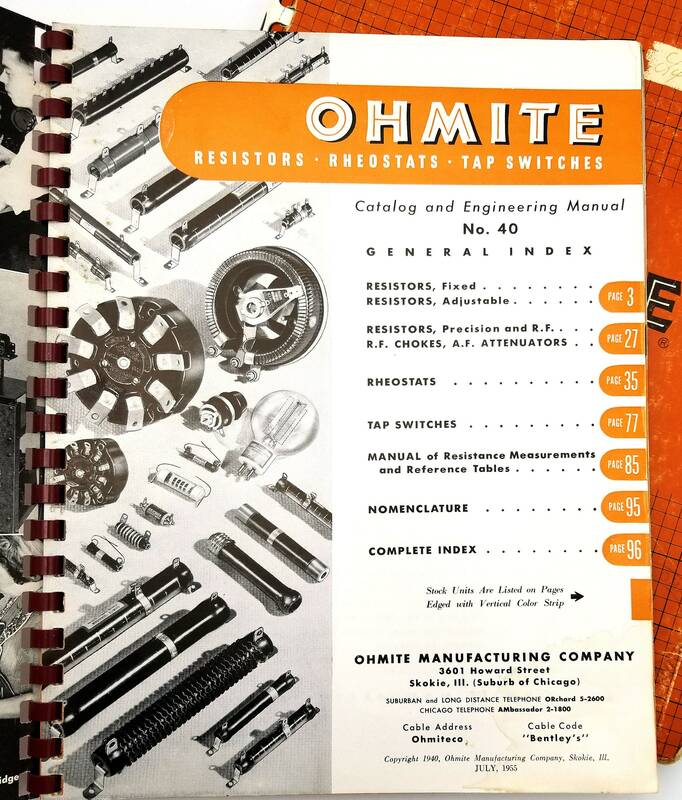 40 (copyright 1940, print date July 1955): Resistors, Rheostats, Tap Switches. Catalog No. 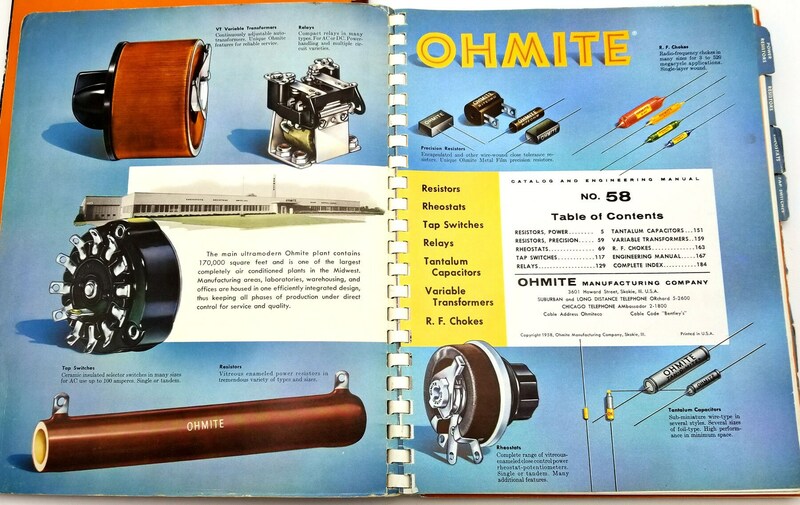 58 (1958): Resistors, Rheostats, Tap Switches, Relays, Tantalum Capacitors, Variable Transformers, R.F. Chokes. 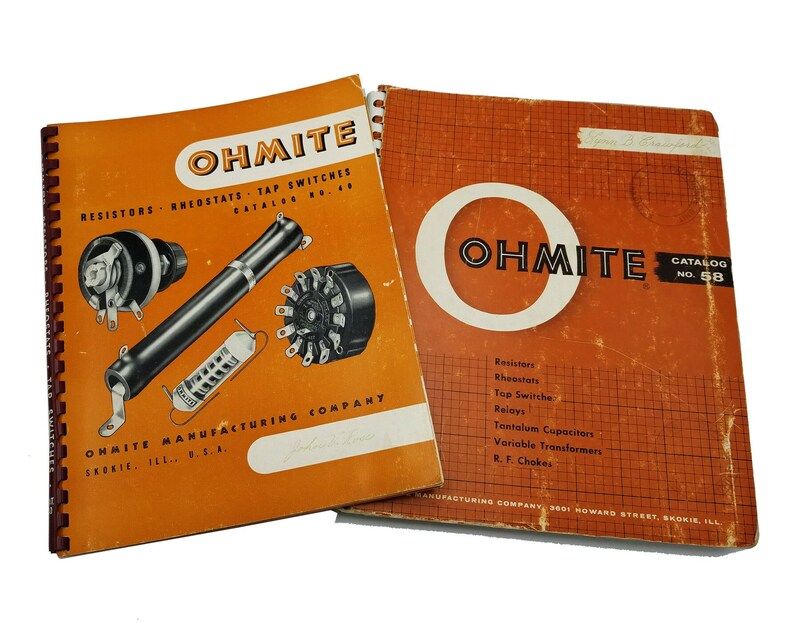 Laid in is the one page, double-sided Ohmite News flyer for February 1960. Size: 8.75 x 11 inches.